Start your morning with a brisk walk on the trails at J.F. Gregory Park. 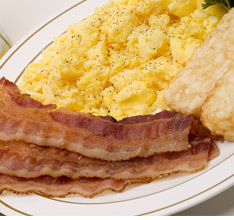 Then have a hearty breakfast at the Sunshine Breakfast Restaurant or the Omelette Café. 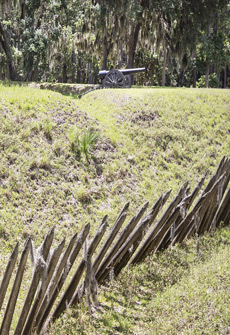 After breakfast, Fort McAllister State Historic Park should be your destination. You can hike or bike and look for fiddler crabs and wildlife along the nature trails, as well as birds such as painted bunting, wood ducks, northern harriers, osprey, and possibly even a bald eagle or two. 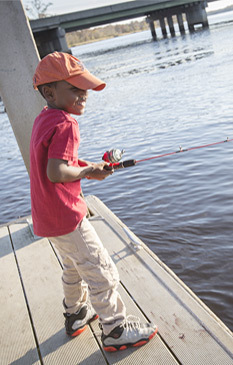 A fishing dock makes it simple to throw a line in and pull out trout, flounder, even sharks. 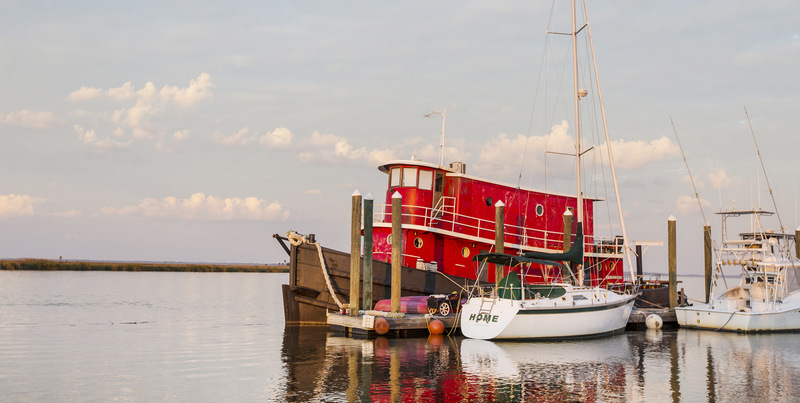 Two boat ramps, one on tidal Redbird Creek and one with access to the Ogeechee River, allow you to get on the water, and the park offers kayak, canoe and paddleboard rentals. The campground welcomes tents, trailers and RVs. For lunch, pack a picnic for your visit to Fort McAllister. The large picnic area offers river views and playgrounds. Depending on your interests, there are many activities to occupy your afternoon. Book a horseback ride at Chimney Field Equine Community, or make your way to the Green Creek Interpretive Trail for an afternoon wetlands hike. The Greenway Trail, part of the Coastal Georgia Greenway Trail, connects with trails along Highway 144. SUP It & Sea Paddleboard Company can set you up with a one-hour SUP introduction, a two-hour SUP excursion, or even a SUP party for your group. If you’re a golfer, Sterling Links Golf Course is sure to please with terrific views and challenging play from well-groomed fairways and greens. All this activity is sure to make you hungry, and the hint of salt in the air is likely to make you crave our local seafood. Waterfront dining is a delight at Fish Tales or Marker 107, where you can enjoy netted-this-morning shrimp and other shell fish, and fresh-caught snapper, mahi-mahi, and wahoo. Grab your favorite coffee drink and a pastry from Way Station Coffee Company, then head to Fort McAllister Marina for your chartered all-day fishing trip with Captain David Newlin, where you may fish for trout, redfish, sheepshead and flounder in the clean, uncrowded waters of St. Catherine’s and Ossabaw islands.If you are a hunter, you may want to take advantage of Kilkenny Marina’s ferry service to Ossabaw Island Wildlife Management Area for a deer or feral hog quota hunt, or rent a boat to explore the waters and do some fishing. What to do with your haul of fish at the end of the day? Fish Tales restaurant will be happy to cook your filets, blackened or fried, and serve them to you on the patio with fries, hushpuppies and coleslaw. Top off your day with a sweet treat from The Ice Cream Shop. If you’re here for a long weekend, you may want to experience other coastal Georgia outdoor gems. After breakfast, head south on I-95 for a day trip to Sapelo Island or the Golden Isles, or go north and spend the day on Tybee Island’s five miles of beautiful sandy beaches. Hilton Head Island, South Carolina, offers an assortment of outdoor excursions, from biking to fishing, golf to tennis, horseback riding and hiking. Of course, Richmond Hill’s variety of accommodations, including cottages at Fort McAllister State Historic Park, await you with the promise of a sound sleep after a day of outdoor play.